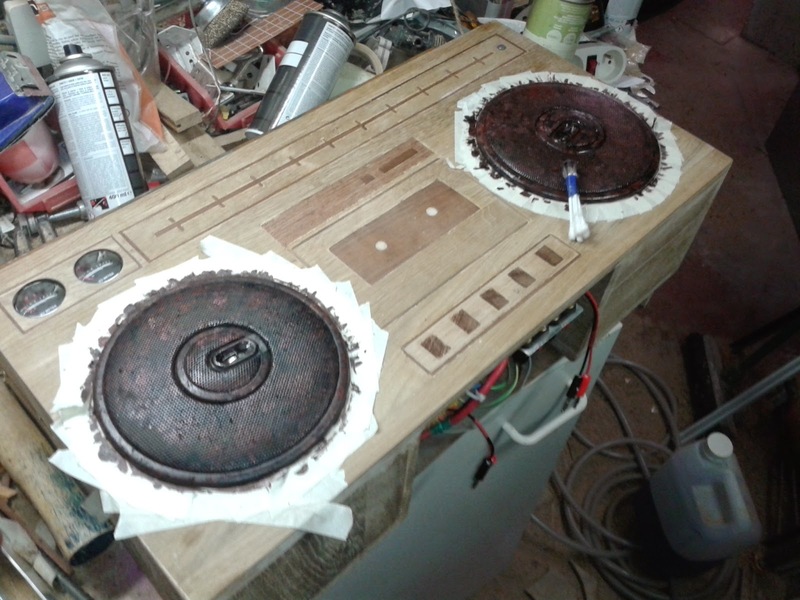 This is the final post on how I built my wooden ghettoblaster. 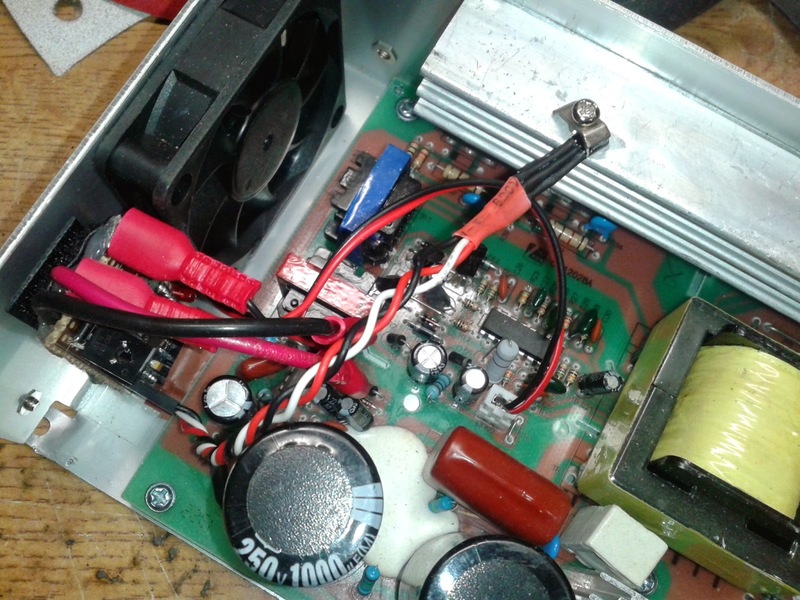 While my previous my three previous building the front face, the enclosure and wiring it all), this post will describe the final touches I brought to this project: painting faux rust and quieting the fan of the cheap Chinese power supply. On right you can already see a picture of it completed. 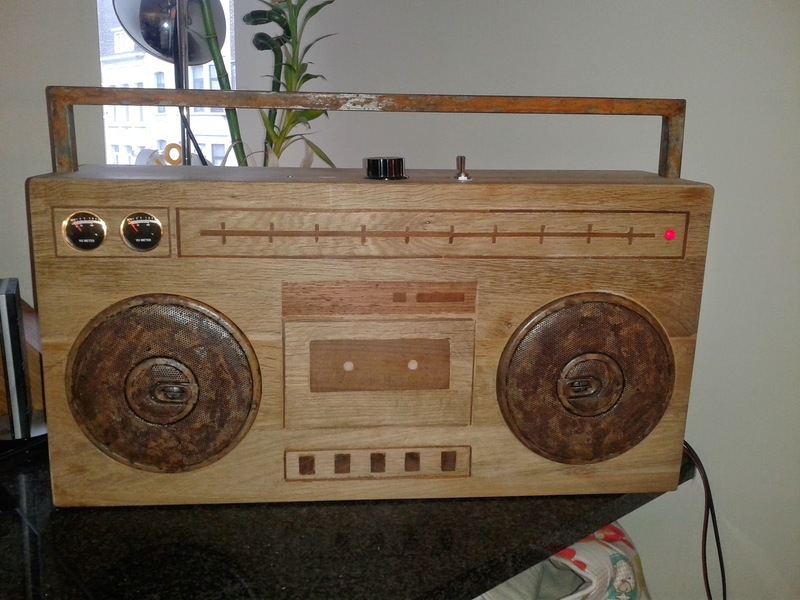 It is a bluetooth 2x150W RMS wooden boombox. The sound is really great. For those wondering the the type of paint brush I used... I used 4 or 5 cotton buds (qtips) taped together (see picture). You will find below a really good video on YouTube explaining how to do it. I had a couple of Arduinos Pro Mini 168 lying around and never really used them because they have so little memory. Combined with a LM35 temperature sensor (and some other parts) I built a fan speed controller to adapt the speed of the ventilation to the needs of power supply (the original diagram and source code was found here). This means the fan will spin faster only when the inside temperature of the power supply is high making more noise only when really needed (which is usually when you play loud music anyway). 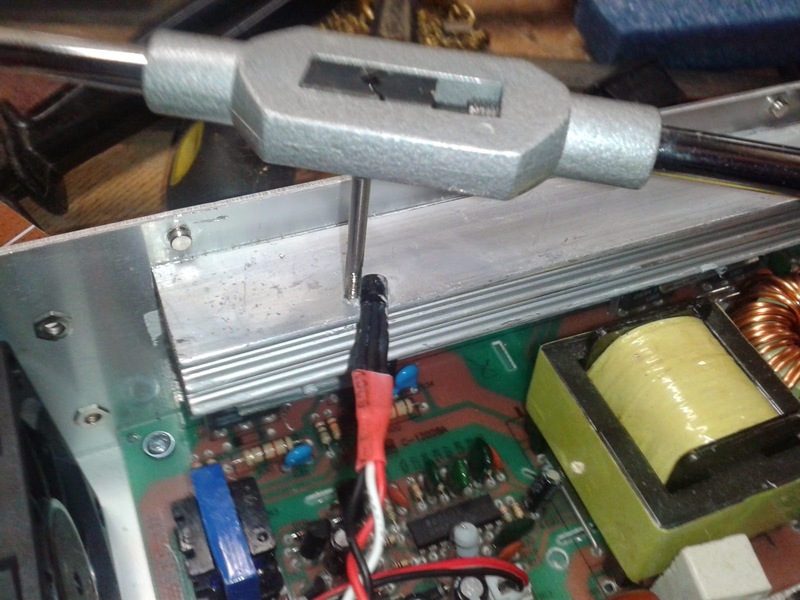 The tricky part is to attach the temperature sensor inside the casing of the power supply. 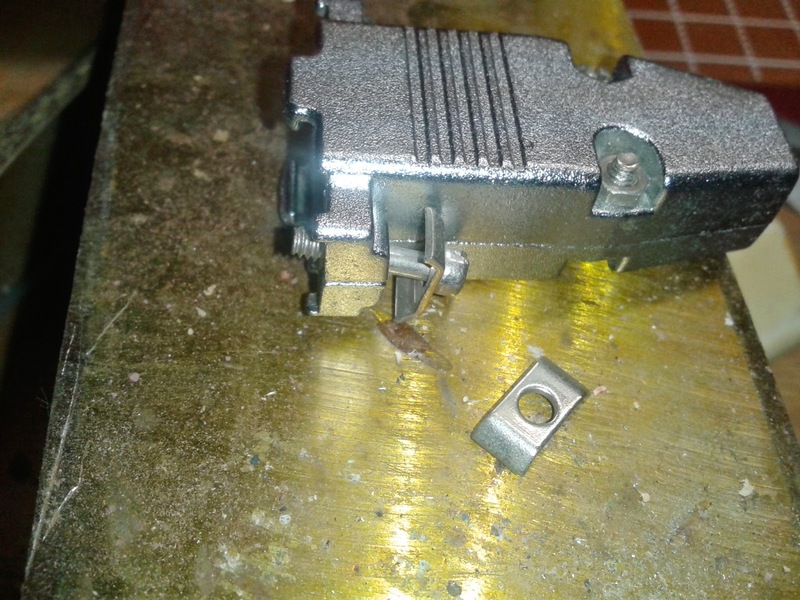 To do this I used the rectangular washer of an old VGA connector (picture on the left), then drilled a 2.5mm hole in the heatsink. 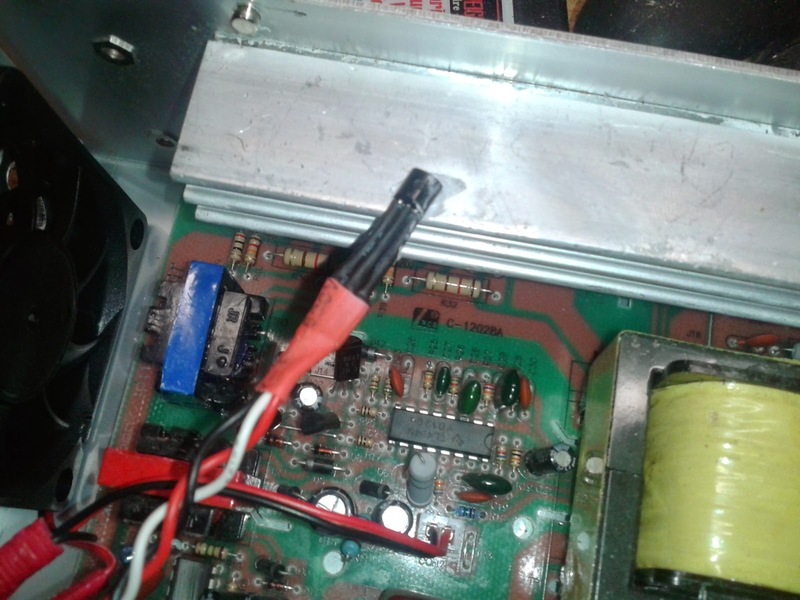 You need to make sure you leave no metallic shrapnel inside the PSU or you might make a short. To make the thread I used a tap (see below). I used a 3mm one because it matches the size of typical computer case screws and I have plenty lying around. Note: to make sure you get a decent temperature reading, it is always better to put thermal paste between the heatsink and sensor. Please do not hesitate to post your comments/remarks below.